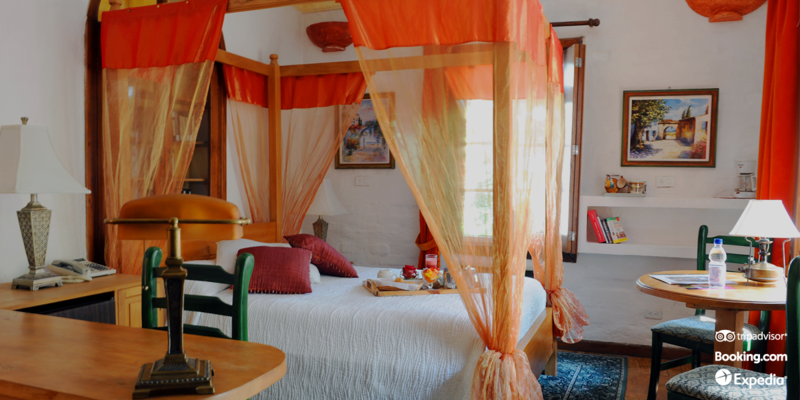 a little piece of France in "La Mariscal"
We are remodelling, check out our Deluxe suite! 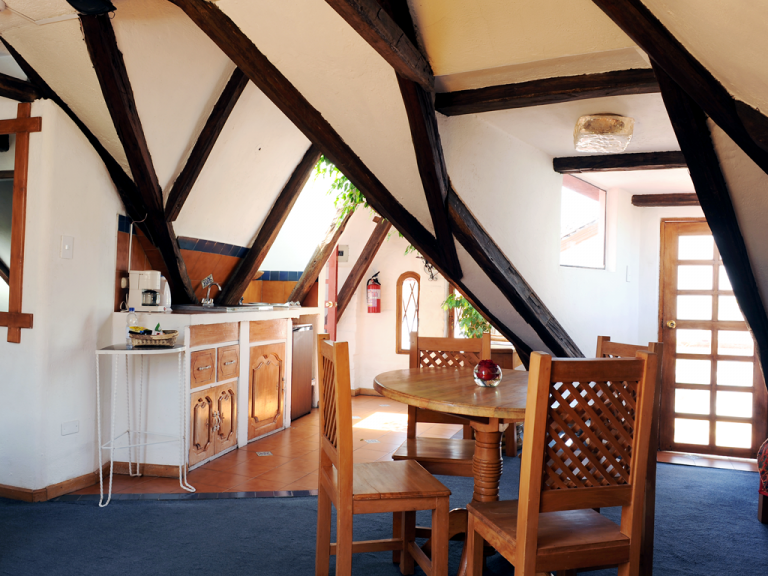 The rooms, suites or apartments are unique, and each one with a charming and special decoration. If you are planning a long stay in Quito, with a very special rate (upon request) our apartments are a perfect choice to fully enjoy your trip to Quito. 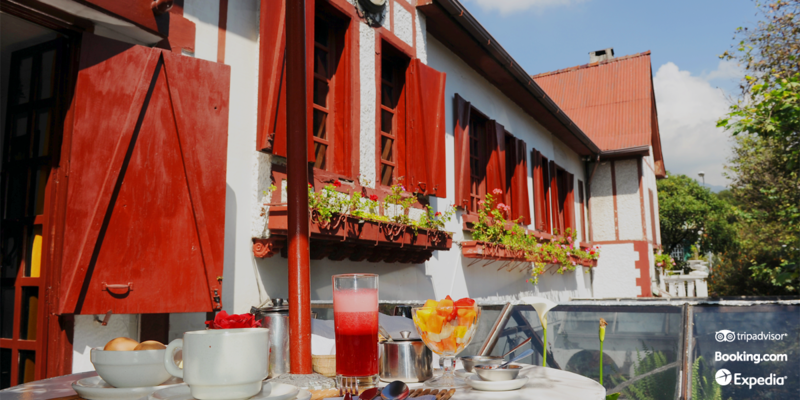 The hotel Antinea also offers a variety of services to make your stay as comfortable as possible. Please visit our photo gallery to see more of Hotel Antinea. 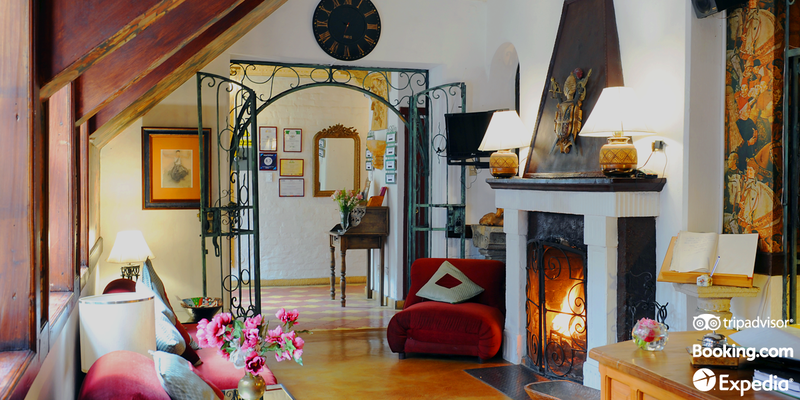 "A wonderful hotel that I will use again when I go back - it is lovely with great staff attention. We liked everything about the hotel. It's smaller size (limited number of rooms 15?) meant extra attention and excellent service. The room was very clean and comfortable with lovely decorations. There is a cozy fireplace in the common area to share a drink or play piano in den, and starting starting off with a great breakfast every morning was wonderful. We had a junior suite and it was more than enough room for us, and the beds were comfortable. It's close enough to Plaza Foch and far away for quiet night time." a pesar de estar en un barrio donde están todos los bares y restaurantes , no es problema a la hora de dormir. el desayuno sencillo pero muy rico y la decoración hermosa." Es dificil encontrar defectos, la verdad que está todo muy bien, posicion, personal, la habitacion amplia y comoda, limpia, bien insonorizada, con terraza privada etc. “Comfortable and spacious, super apartment on a quiet street. Plaza Foch is just a few blocks away. The hotel was very comfortable decorated in a French style, that included a few prints of Gustav Klimt." 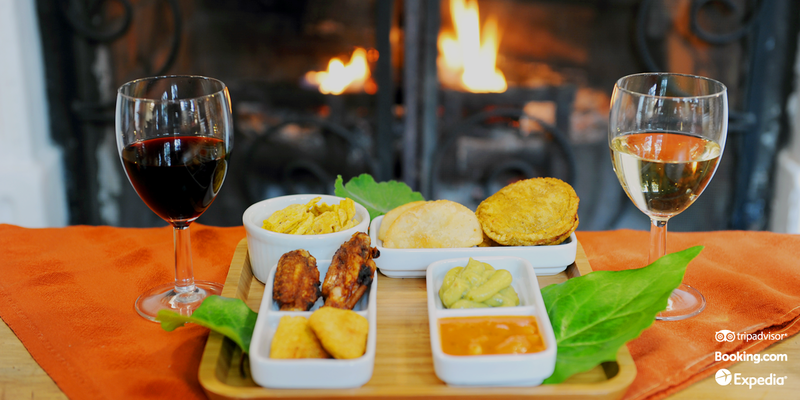 " Big thanks to Veronica and staff who make this place outstandingly special. 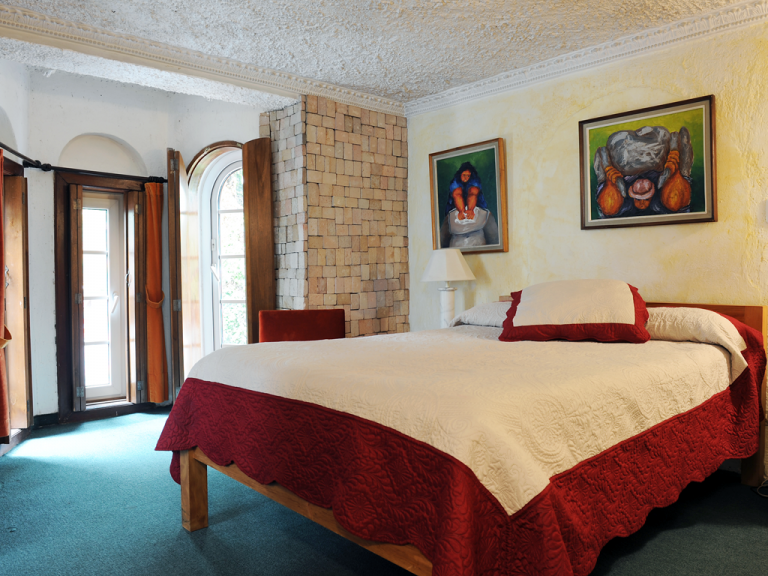 Very pretty boutique hotel in a calm side street of the busy "La Mariscal" quarter of Quito. Rooms are eclectically decorate which gives "every corner" a rather unique look. So is the patio with hammocks inviting to rest for a while soaking up the calm atmosphere. I have seldomly experienced a more supportive and friendly hotel team. You could approach them with all kind of questions or ask for support by calling a taxi etc. They are most happy to help to make you feel welcome and save. All thumps up! Big hugs to Quito!" 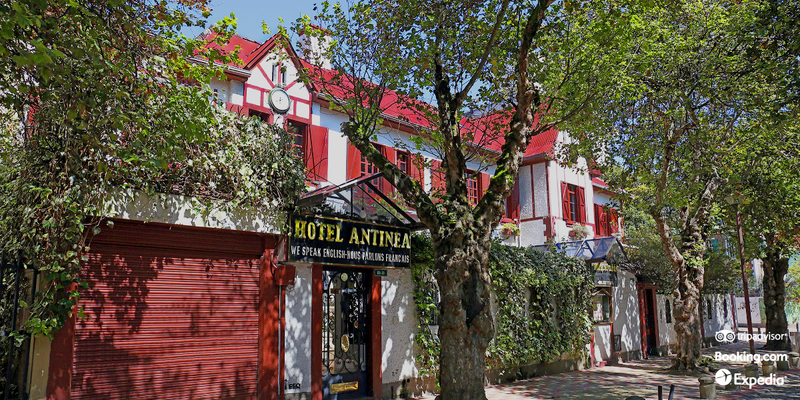 Antinea Hotel is located in the very heart of the Mariscal District touristic, commercial and financial center of Quito, at two steps away from the famous Happening Plaza Foch. Plus, it is surrounded by the best restaurants, bars, cafes, night clubs, museums, or spanish schools. From there, you can have a walk to one of the major parks in Quito, as the Carolina and El Ejido, as well as to the great and famous handicrafts Indian Market or even take a cab that will drop you in only 10 minutes to the beautiful Quito´s historic and colonial center.